We’ve all been there, fired up to make a positive change for the New Year and then a week later those resolutions have fallen by the wayside. As single moms, our instinct to set goals and make positive changes collides with the reality and stress of parenting alone. Every day is a marathon of responsibilities, and in the hierarchy of family needs, Solo Moms usually put their self-care last on the list. Here are some tips to make sure you succeed in your promise to do better for you this year. Most of us intuitively understand that if we are healthier, well-rested, drinking less—whatever the resolution may be—then our ability to parent well is positively impacted. So make a resolution toward your own well-being, and stick to it for you and your kids! 1. Pick one. Don’t burden yourself with multiple resolutions. It’s unrealistic to expect to lose weight, exercise regularly, stop smoking, recycle more, drink less, and be kinder to small children all at once. Pick one goal and go for it. 2. Set realistic goals. 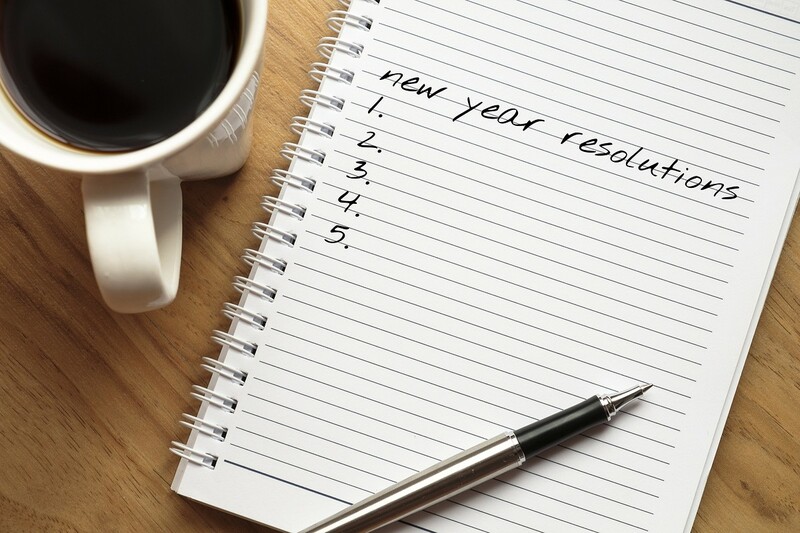 Make sure you can actually accomplish your resolution. Don’t pledge to spend 25 hours a week in the gym if you never work out. Set a realistic goal and then when you reach it, aim for another. 3. Establish rewards. Let’s face it, resolutions often feel boring. Plan a reward for achieving goals. For example, after reaching a weight-loss goal, buy yourself something nice to wear. Keep it fun by rewarding yourself. 4. Buddy up. Join forces with a friend or family member by sharing a resolution. Inspire and motivate each other to stay on track. A little healthy competition doesn’t hurt, either! 5. Journal. In addition to recording your success, write down what it means to you to keep this resolution, and be honest about the challenges. Even a very short note each day makes the journey more meaningful and shows how far you’ve come. 6. Remind yourself. Put encouraging Post-it notes and messages on your bathroom mirror and your refrigerator. These messages serve as little reminders that put your resolution front and center. 7. Honor someone. Dedicate your resolution to someone, such as “I vow to stop smoking for my children.” Or make the resolution in someone’s memory. Assigning more meaning to the resolution will make it more difficult to break. 8. Be a blabbermouth. Tell anyone and everyone your resolution. If your family, friends, and coworkers know, it will provide additional social encouragement and pressure to accomplish your goal. 9. Forgive yourself. Stumbles are inevitable. Just because you ate that piece of cake or drank a glass of wine doesn’t mean your resolution is over. Don’t beat yourself up; instead, get back on the horse and start again. 10. Pump yourself up. Self-fulfilling prophesies are powerful. Psychology shows that if you expect to fail, you will, and if you visualize and expect success, it’s far more likely to happen. Start each day by telling yourself that you can and will stick to your resolution! Happy New Year, Solo Moms! Remember you can always come to Sister Chat or participate in Sisters Only if you need added support in maintaining your resolution. At ESME, we are here to cheer you on. You’ve got this!